Designed to hold and secure catheters for pediatric / nasogastric tube / indwelling needle catheters. Ideal for any tubes, lines or catheter between 3mm and 8mm in diameter that needs to be secured for pediatric and adult use. Ideal for any tubes, lines or catheteter between 3mm and 6mm in diameter that needs to be secured. Represents a new concept of superiority in catheter securement. 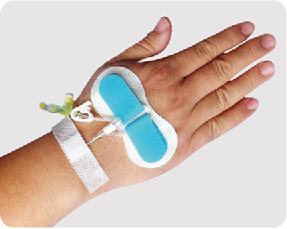 Specially Y-shaped design ideal for IV, foley, CVP, drainage and epidural use.